Please note we do not deal with domestic enquires. We carry out commercial door repairs only. We also have branches across the South West. Call one of our local numbers below to speak to our expert door repairers for commercial door repairs near you. 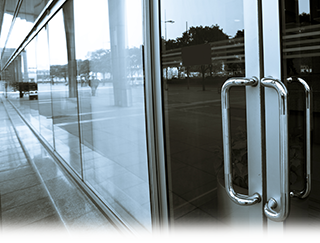 We specialise in commercial door repairs including aluminium and glass doors. We cover a wide area of the South West of the UK, including Devon, Cornwall, Bristol, Somerset, Dorset, Gloucestershire and Wiltshire. Why not get in touch?